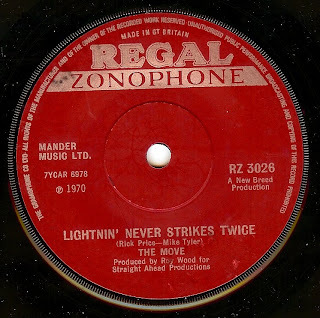 This mysterious and moody Scottish band, managed and produced by Stones Svengali Andrew Loog Oldham, waxed one of the finest beat singles of the entire era on this incredible cut which combines the mysterious aura of their debut ("Now We're Thru", itself a past 45 of the day) with driving, uptempo urgency. It's not often that a song takes on a second life; in the case of "All Around The World", it was re-written as "Grits Ain't Groceries" and became a huge hit for Little Milton in 1969. 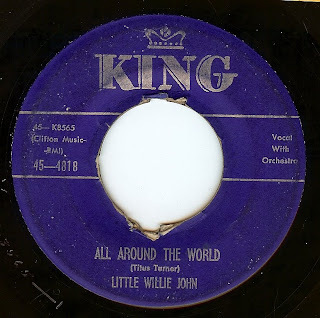 "All Around The World" is also the debut release from the great Little Willie John which began a run of jaw droppingly brilliant records with some of the greatest male vocals ever cut onto wax. THE LOVELITES - HOW CAN I TELL MY MOM AND DAD? 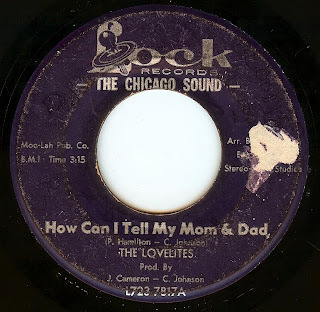 Made up of two sisters (Patti Hamilton and Rozena Petty) and friend Ardell McDaniel, the Lovelites, on this record, found huge local success in Chicago and a slight ripple nationally), which addresses a very taboo subject. 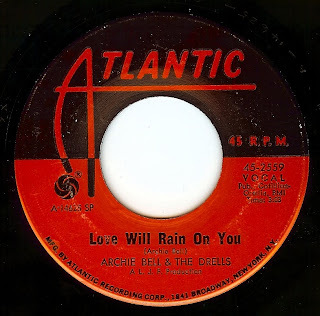 Co-written by lead singer Patti (the group was later known as Patti & The Lovelites), this song is full of humility and honesty and features an absolutely mesmerizing vocal performance from the girls, in addition to be a top-notch song. Group soul PERFECTION! 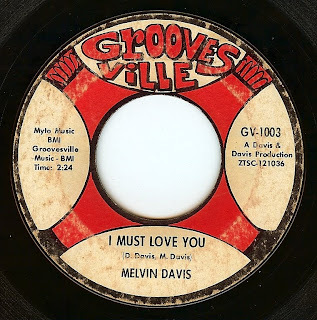 Incredible vocal interplay on top of a wonderful song rooted with smooth Philadelphia production. The epitome of a CLASS record from this group that deserved widespread fame. 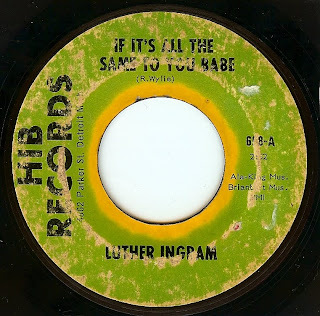 In between recording in New York, then on to a long run in Memphis with Stax offshoot Koko records, Luther Ingram cut this mind blowing track in Detroit with the legendary Detroit figurehead musician/arranger/writer/producer Richard "Popcorn" Wylie. An incredibly in-demand and very hard to find record, I have been relatively content with a reissue for years. Makes me even happier to own this battered original though! 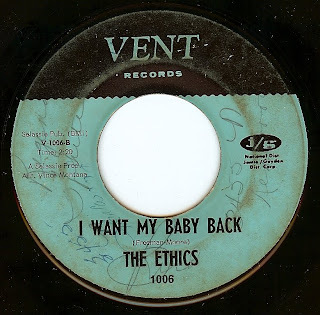 The amazing thing is (yet another testament to the righteous nature of 45's) this record looks like it was dragged behind a truck but as the MP3 shows, it still sounds GREAT. 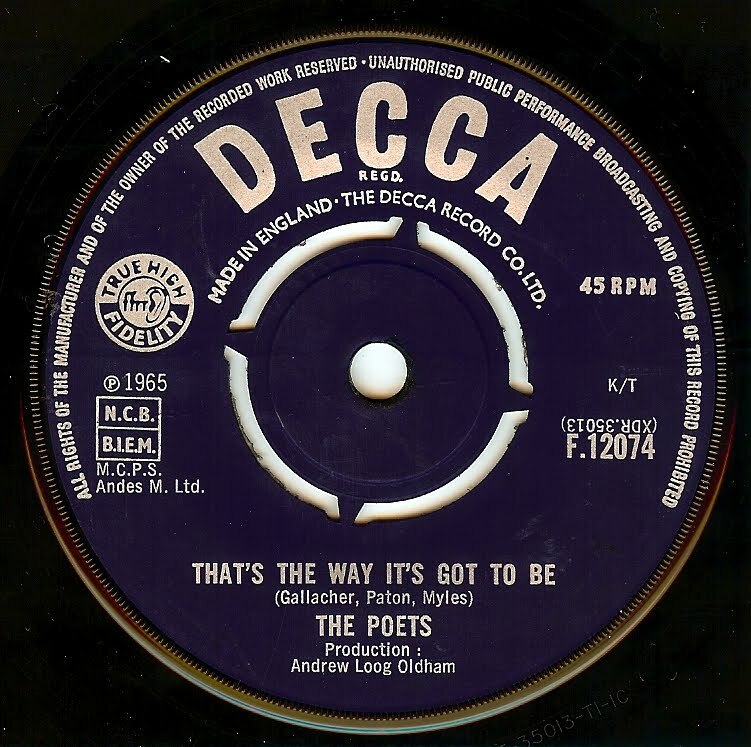 Perhaps it was a sarcastic, flippant comment, but in "Don't Look Back", Dylan himself said, when asked, that Manfred Mann cut his favorite cover versions of his own songs. 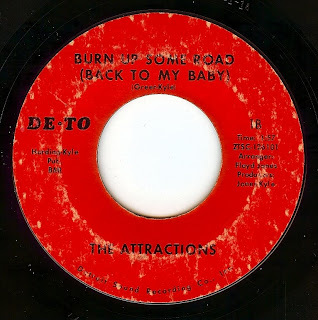 Whether he was serious or taking the mickey, there's no doubt that this swingin' beat version of Dylan's classic bit of female manipulation is indeed a great version. Sassy and brassy, The Lullabyes contradict their name on these four-on-the-floor stomper! 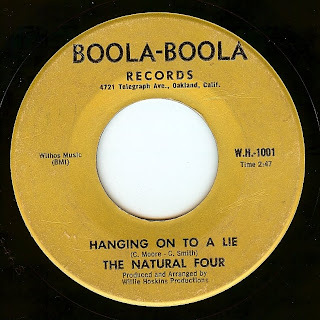 The story of this group (the same singers released records going back to their high school days in the 50's under names such as the De Vaurs, Baby Jane and The Rock-abyes and Henrietta and the Hairdos) is the type of story that could only happen in the sixties. This group was bounced around by a number of producers that saw potential and gave them yet another shot. 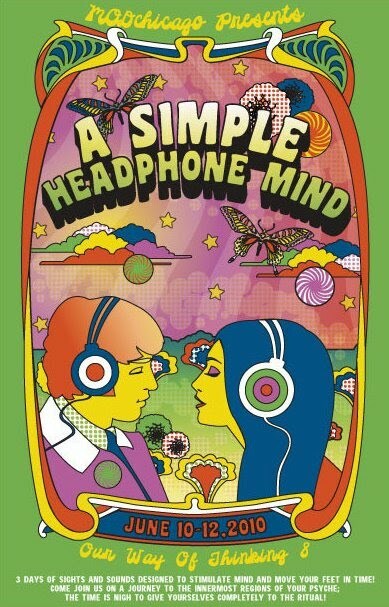 Sadly, they never had a hit and eventually packed it in in 1968. (There is an excellent, comprehensive history HERE at the always excellent Spectropop website). These two tracks from Louisiana's Lazy Lester bridge the gap where blues, rock n roll and proto-soul intersect. 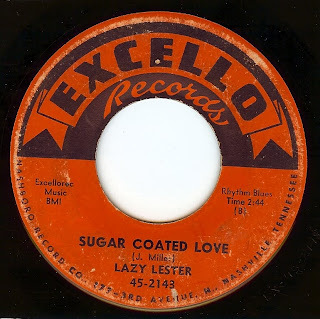 Sadly, Lester has claimed that he wrote both of these numbers although he was not credited, and was cheated out of the royalties not only from his own recordings but from the numerous covers of these songs that have been cut throughout the years. 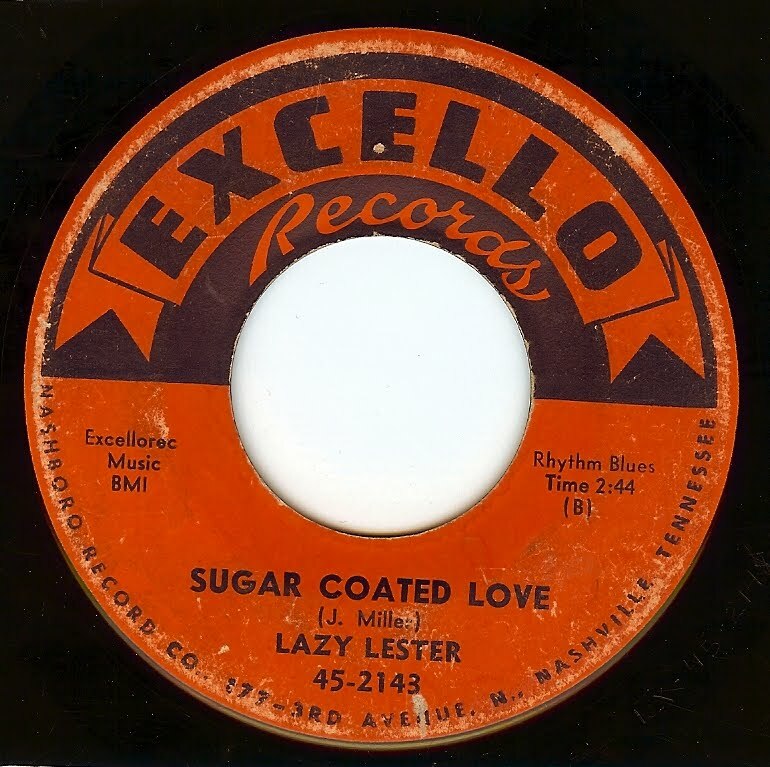 This bad scene eventually caused Lester to quit the music business for several years. Thanks to genius Detroit producer Mike Terry, this song has an intro hook that's so strong that it absolutely mesmerizes me. Add in the lovely vocals from the ladies and I'm completely hypnotized! 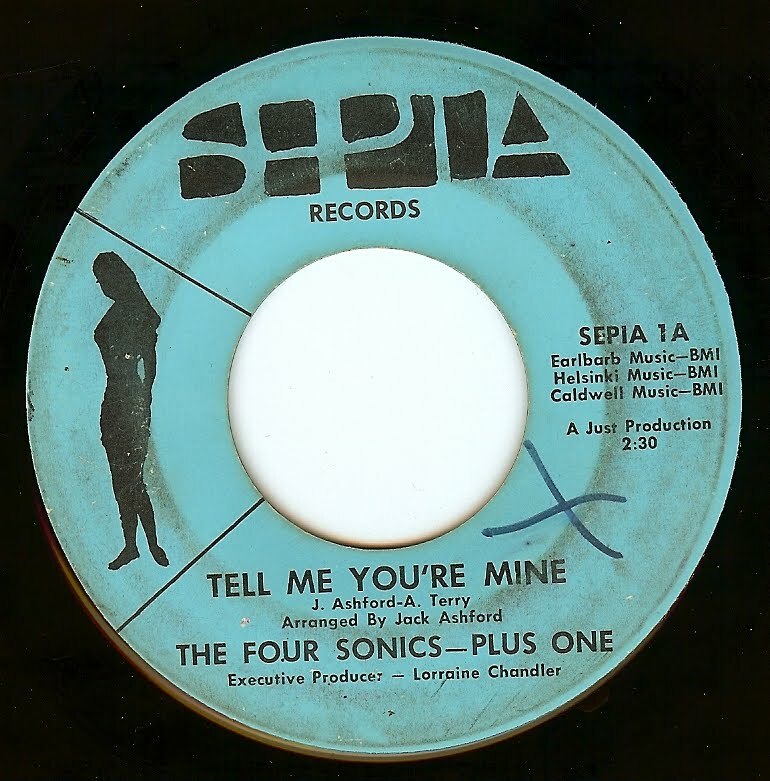 Terry recorded this Chicago group (formerly known as the Versalettes) in Detroit for this, their final single (for a Chicago label no less- you know how I love it anytime there's a Chicago and Detroit connection!). 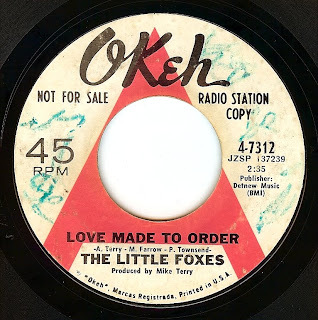 Incredibly, the group didn't even know this record was released until 30 years later, and had no knowledge of the name The Little Foxes! What a hot track this is!!!!! 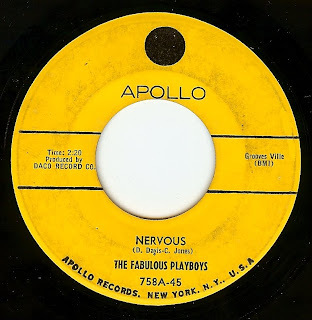 The Fabulous Playboys, shortly after this record, became known as the Flacons (as the original Falcons were no more and management needed a group with that name). This track is yet another one of those late doo wop period records that combines strong group vocals with the harder edged sounds of the sixties. 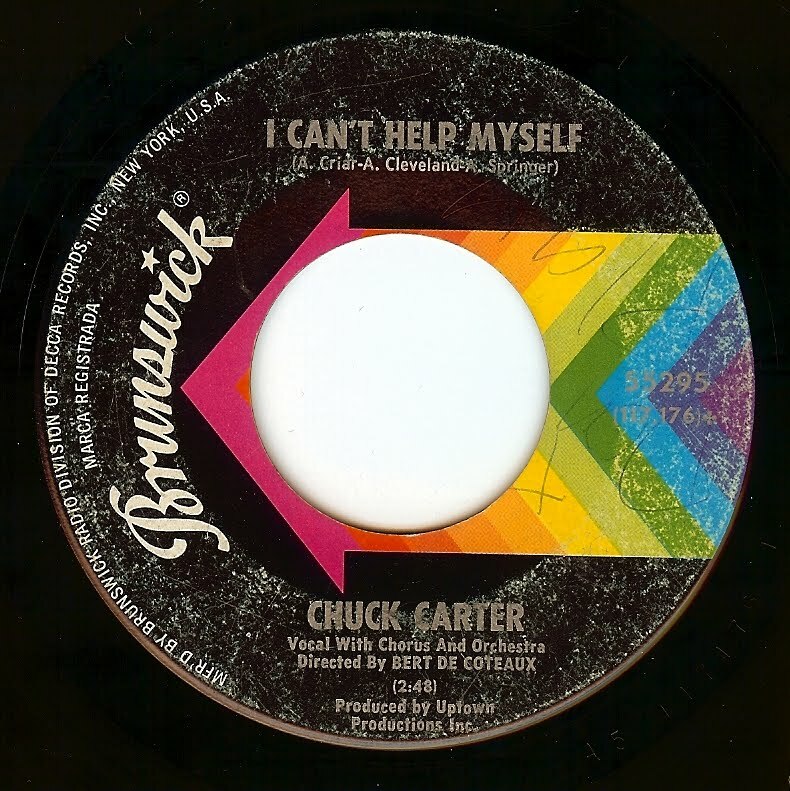 This is one of those songs that for many years I would hear it and think "yeah, cool but I don't really need to own it". Right? 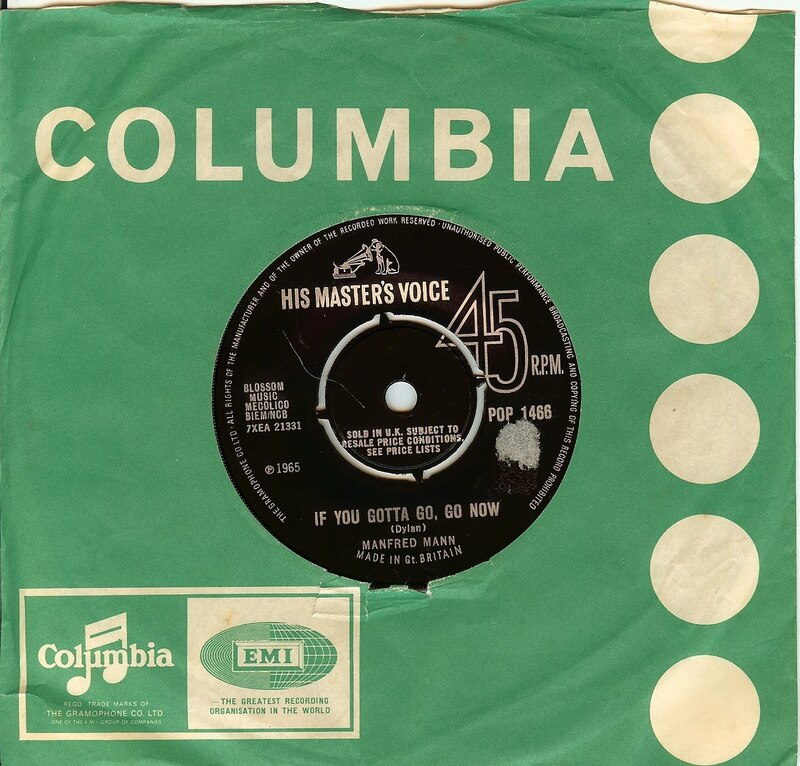 THEN, I heard my mate Dean spin it in London and I realized yes, I most certainly DO! Somewhat unexpected from Trini, but then again perfectly reasonable. 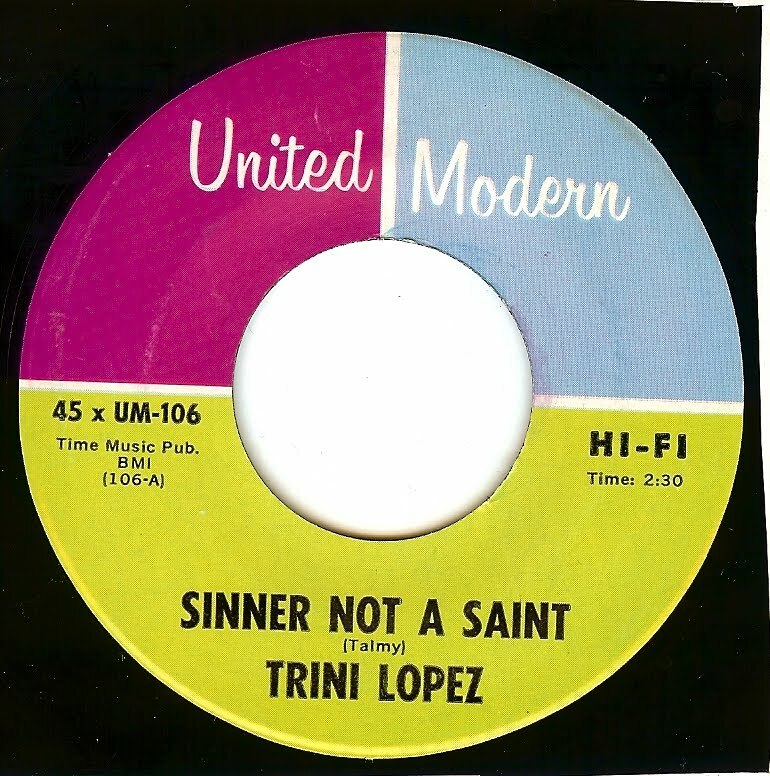 Trini has lots of uptempo gems in his ouvre (such as his versions of "Jailer Bring Me Water" and "Unchain My Heart" for instance), although with out a doubt this is the hottest and most soulful side ever cut by this ultra cool fella. 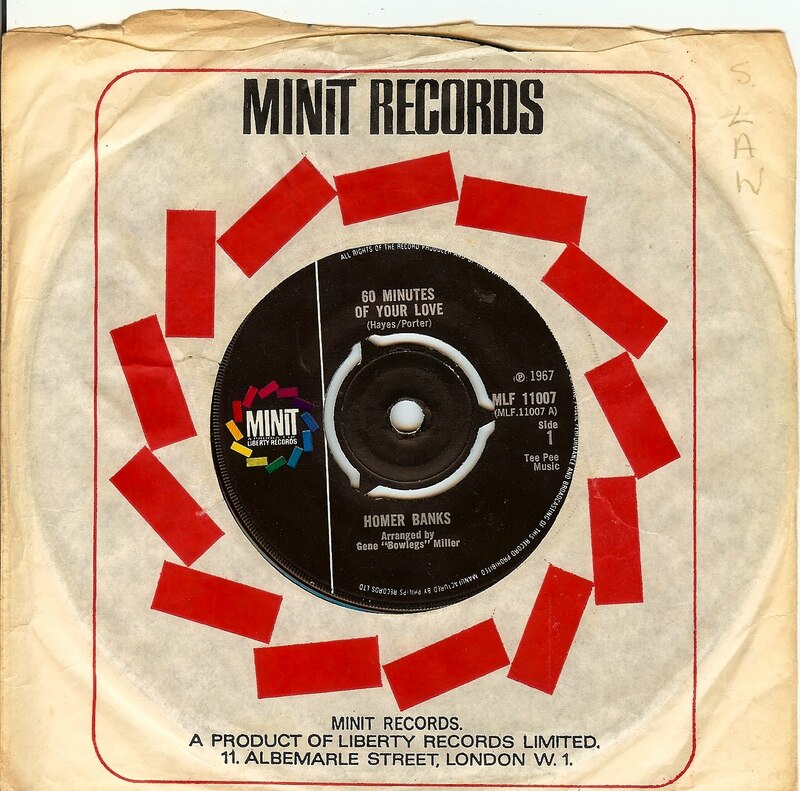 I should also mention that this track was written by Shel Talmy shortly before he moved to the UK and began his brilliant production streak (Kinks, The Who, Creation, etc) who also allegedly had to do some arm twisting to convince Trini to cut this track. 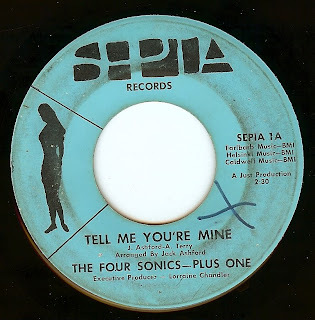 Centered around leader (bass vocalist) Jay Johnson, the Four Sonics (here joined by a fifth member, hence the "Plus One"!) 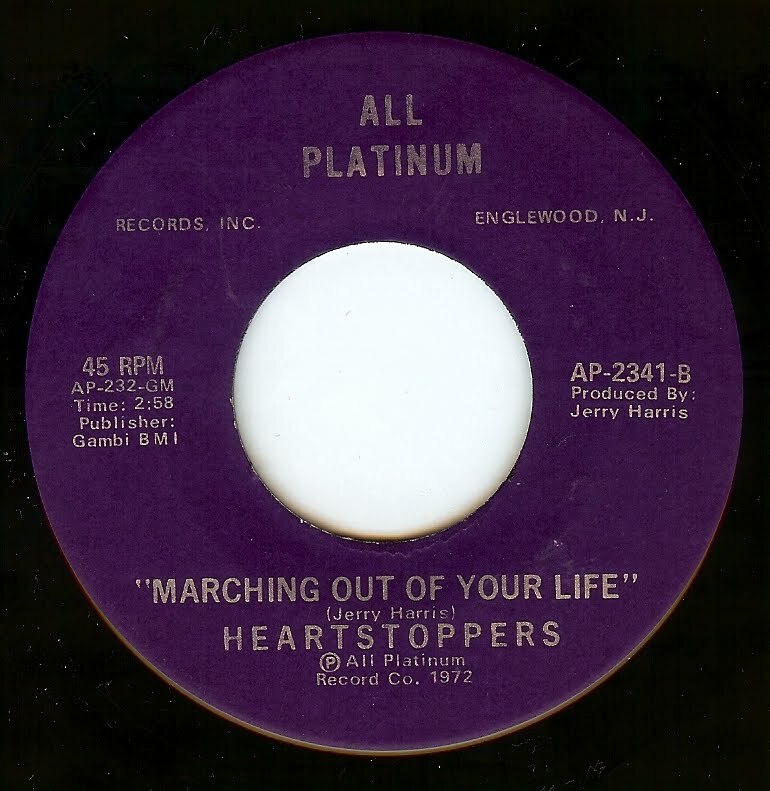 were a Detroit group that spanned two decades but never grabbed the brass ring of having a big hit single. 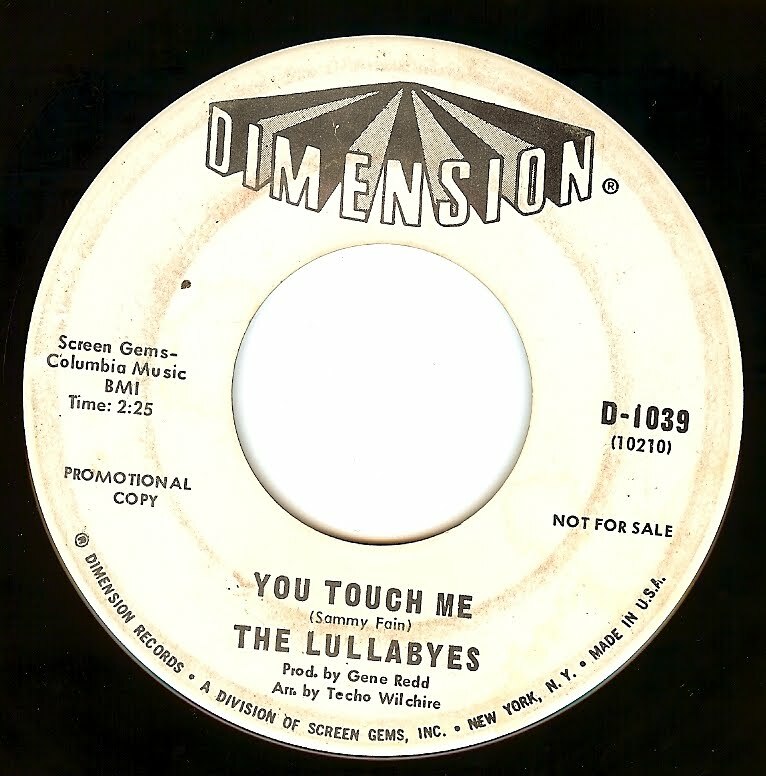 This lovely song has one foot in doo wop and another in what was the contemporary late sixties Detroit soul sound. 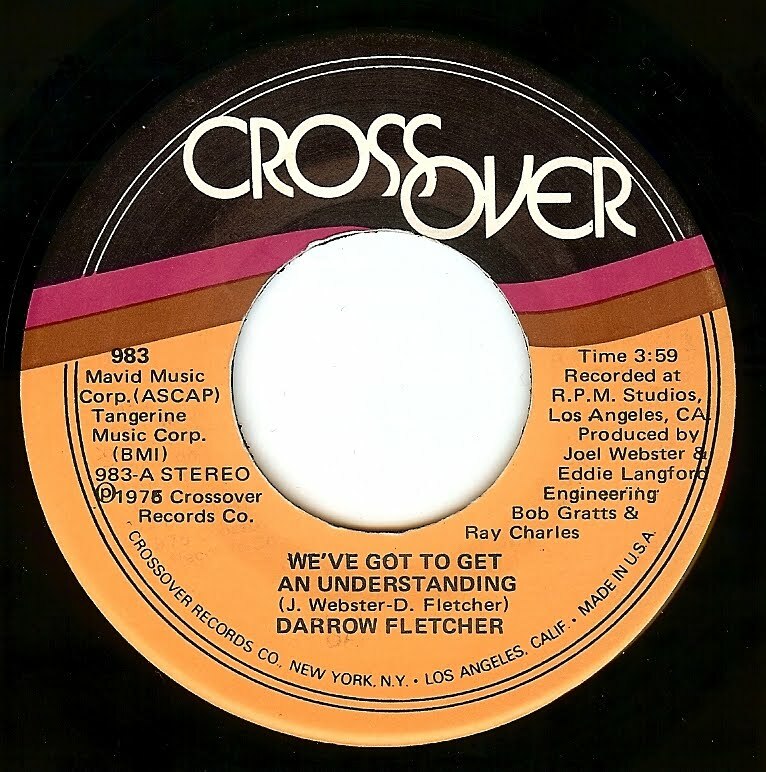 While this record was released in 1972, the sound screams "1967"! 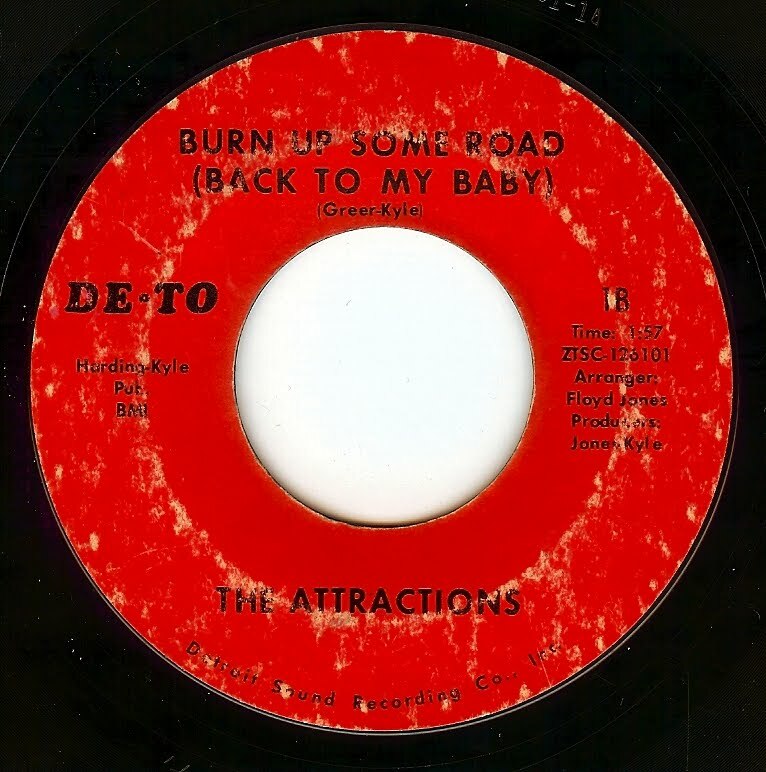 R&B saw many changes in those five short years and this record must have seemed like a relic when it was released. The Heartstoppers released 3 45's on New Jersey's All Platinum records (this is the only one I've ever heard) and details about the group are shaky although apparently the lead singer on this record is Betty Baker (who also cut some solo sides). 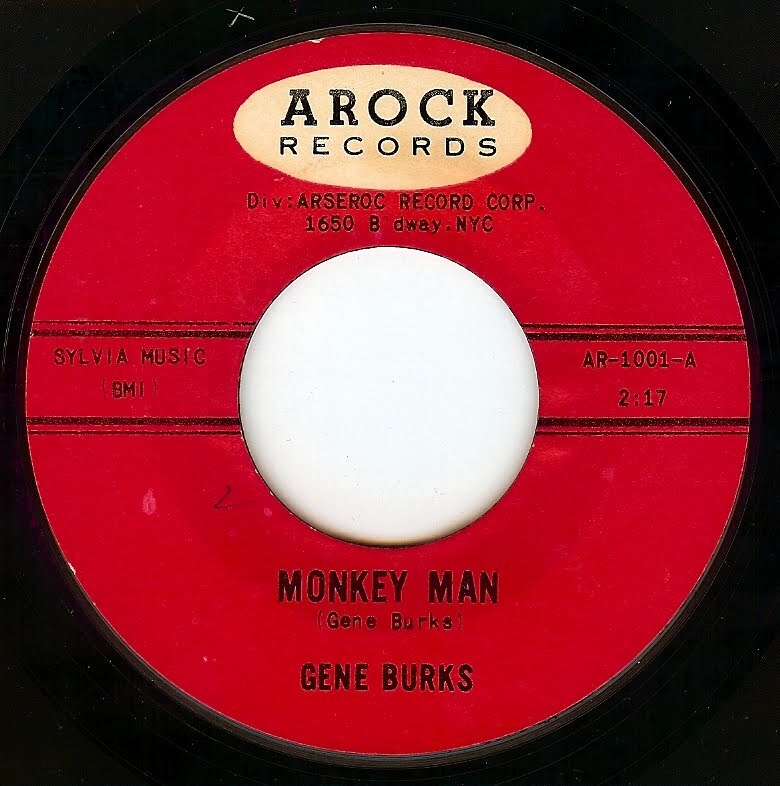 This is another one of those records that with better exposure (and perhaps an earlier release date) could have been huge. This is one hot Detroit side, and with the quality of the vocalists I would truly be surprised if they weren't members of other groups. As always, any information is appreciated. MOD Chicago DJ set for download! Here's my entire set from MOD Chicago, 11 June 2010 at the Dark Room, Chicago. No edits, no trickery or funny business. Beginning as a gospel family group in Chicago in the fifties, the Kelly Brothers spent most of the sixties recording secular material that is deeply rooted in the call and response of gospel music. This incredible track was recorded in Memphis by the legendary Willie Mitchell. 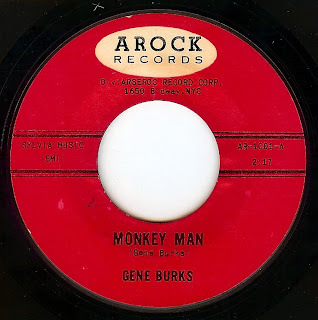 This is one of many that I'll be playing tonight at Mod Chicago (@ The Dark Room; my set starts at 9:30). See you there, Chicagoans!!!!! This will probably be my only post of the weekend. See you again Monday. Am I a sucker for puns? Check. 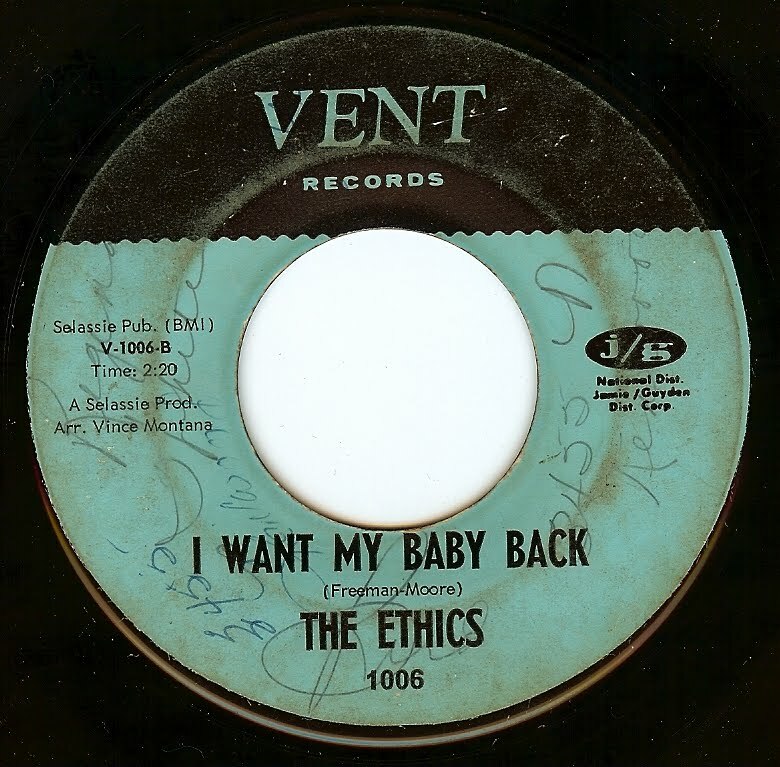 Chicago soul? check check. Major Lance? check check CHECK! Behold, all 3 three traits are found in this very 45. 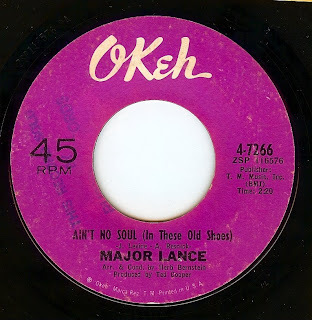 Although one could argue that since this was recorded in NYC it's not a true Chicago soul record, my argument would be that Major Lance simply is the epitome of Chicago soul, no matter WHERE he recorded. 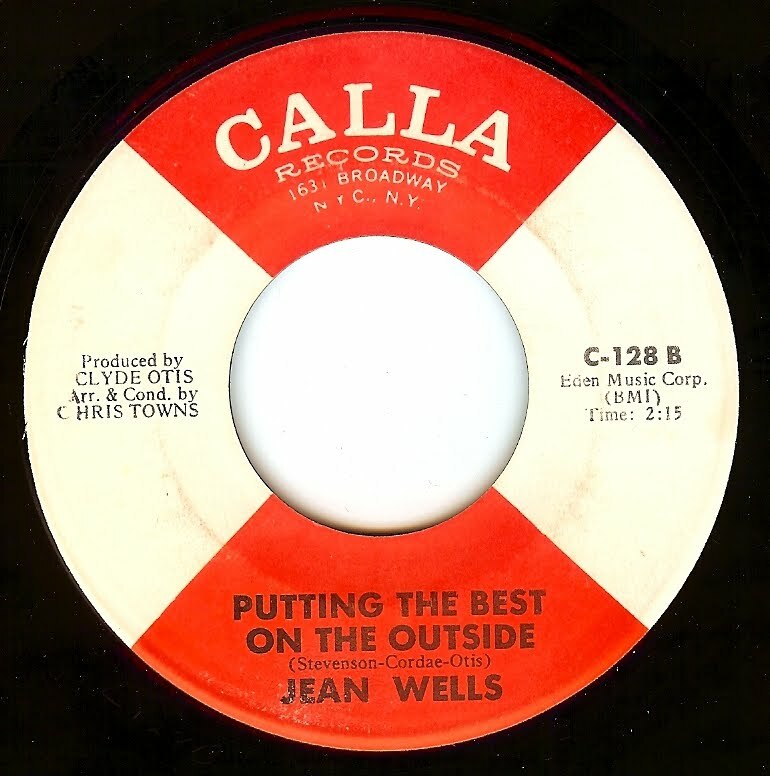 Jean's vocal performance drives this already powerful song well into the soul stratosphere. After their foray at ABC records, this excellent Oakland, CA group found themselves back at local Boola Boola Records for, in my opinion, their finest release (and also perhaps my favorite ever bay area soul cut). 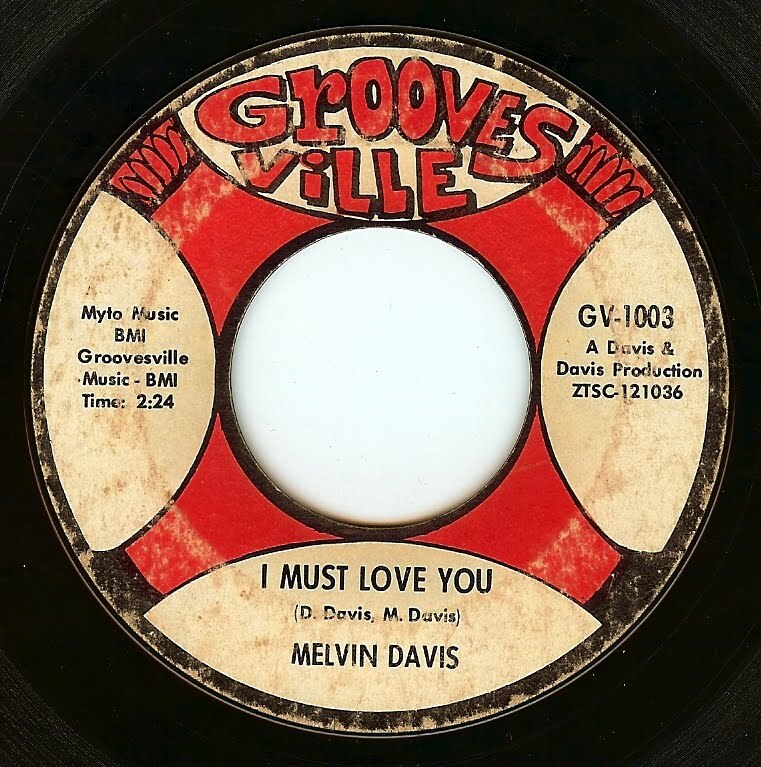 All elements of a classic are contained within these grooves- a strong song, heavenly harmonies, and a very unique arrangement with an incredible horn section. No doubt about it, this is as good as they get! Buried as the b-side of UK hit "Brontosaurus" is this gem written by Move guitarist Rick Price and Birmingham singer Mike Tyler (aka Mike Sheridan). 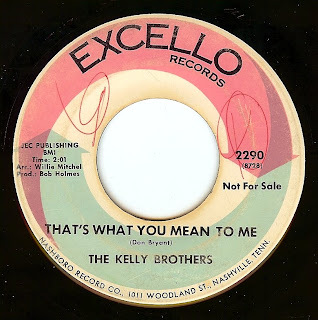 Unlike practically anything else in the (mostly excellent) Move catalog, this song has all the elements of a perfect single; excellent song, production and incredible hooks and harmonies. 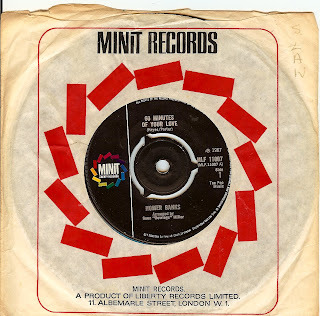 As purveyors of some of the finest dance records ever made ("Tighten Up", anyone?) in this release we find this Texas group showing their ballad side, and what an incredible song and performance it is. 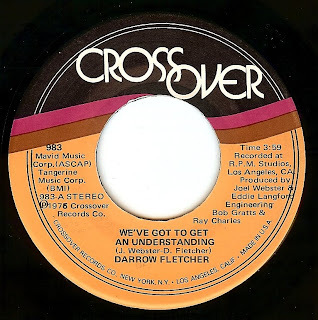 Over time, I've featured just about every record ever cut by Darrow! Yes, I truly love this guy and his career which is full of incredibly classy records. This record, recorded when he was 24 years old and already a veteran recording artist of almost a decade, finds him comfortably moved into the funkier sounds of the day and propelled by an excellent tune. 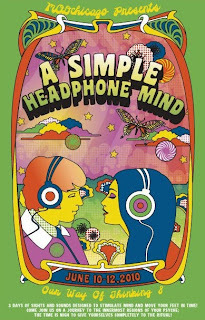 MOD Chicago is NEXT WEEK! With an incredible line up of DJ's (of which I am honored to be a part of- see the full lineup HERE) MOD Chicago is among us, with the weekender starting next Thursday. Hope to see you there! My set starts at 9;30 Friday night. Don't be late!!!!! 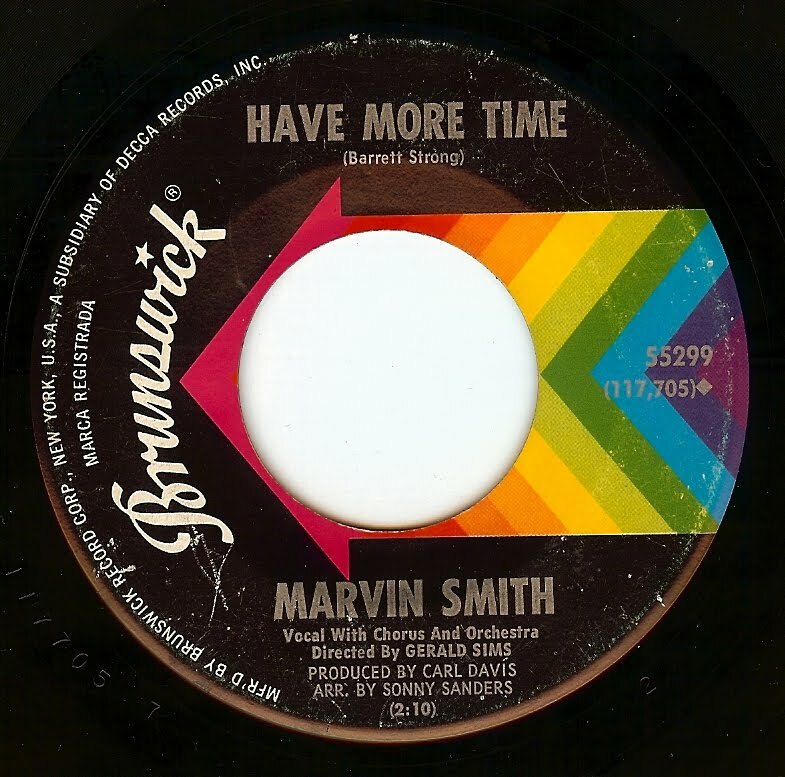 During the period which saw this records' release, Marvin Smith was also lead singer for the Artistics (one of THE greatest Chicago vocal groups); a group which he didn't want to join but was urged to by genius producer Carl Davis. 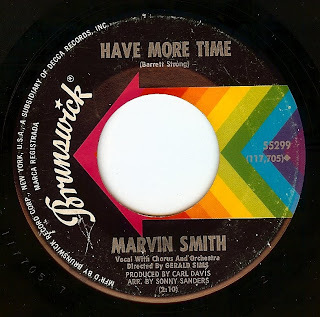 The Artistics released a batch of incredible records with Smith on lead, and the vocal backing on this track is none other than the rest of the Artistics! 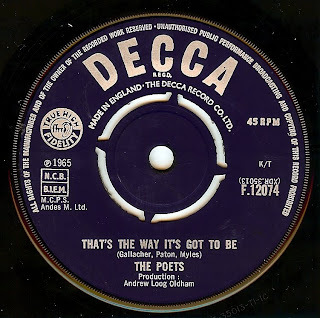 But back to this record; a superb vocal delivery and an absolutely lovely musical arrangement make for yet another forgotten single full of magic. And, of course, if you know any more info please don't hesitate to write. It looks as though this singer released only two singles for Brunswick Records; perhaps there are more, but I've only seen evidence of those two. 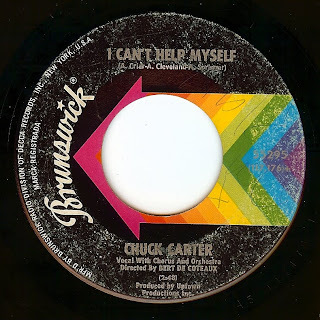 Arranged by the great Bert De Coteaux (most famous for his use of strings on BB King's "The Thrill Is Gone"), I am assuming that this is a New York record. while the song itself is cool, it shows how an expert arrangement and excellent performance can take something that could easily be average and turn it into an awe inspiring monster of a record!